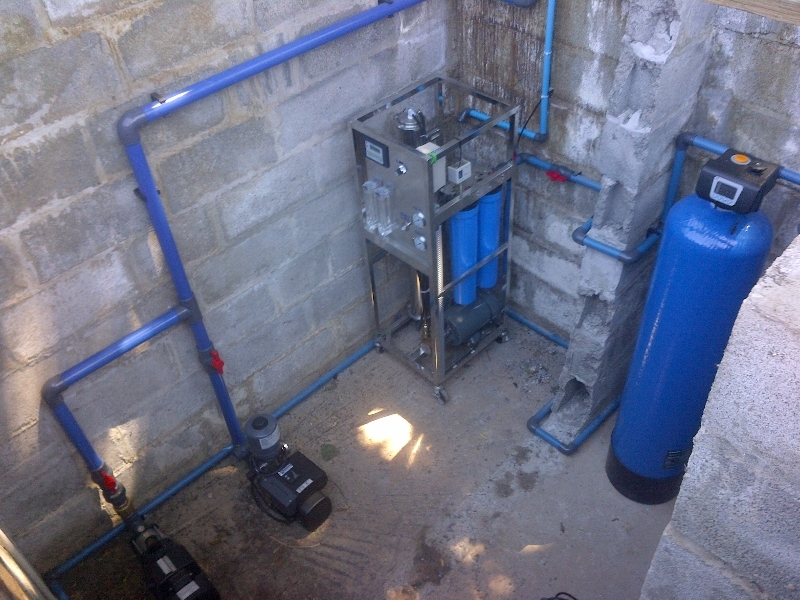 Stage 1: Water feed from borehole into raw water storage tank. 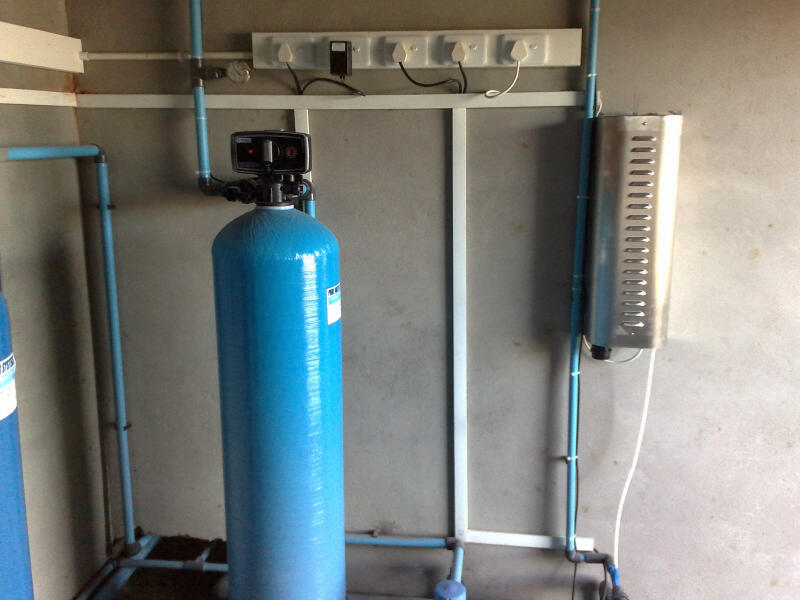 Stage 4: Reverse osmosis water purification. 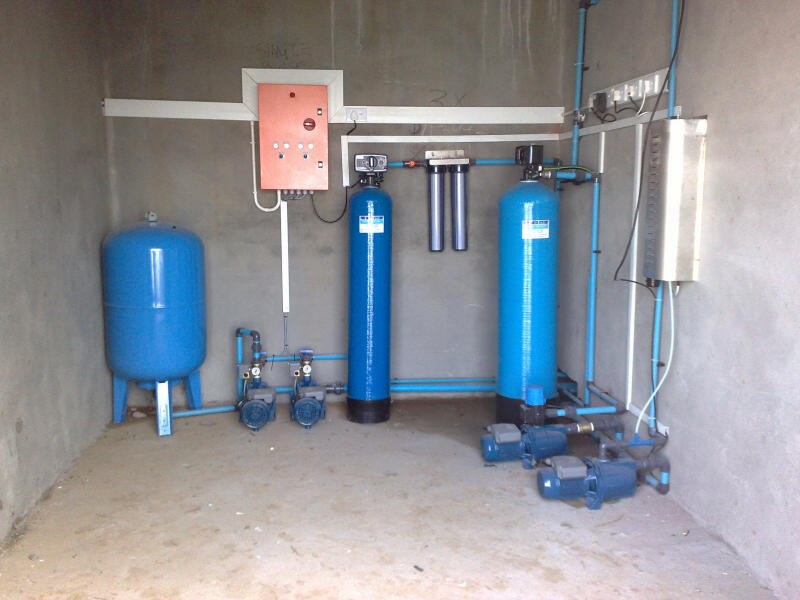 Stage 6: Treated water storage tanks. Stage 7: Ozone bacteria treatment. 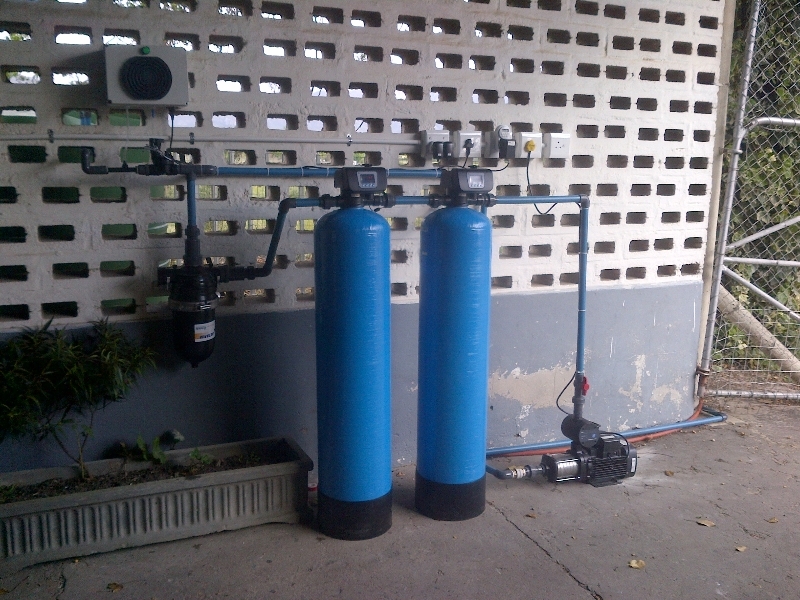 Stage 8: Pressure pump system to buildings. Stage 9: 5 Micron sediment filter. Stage 1: Water feed from dam into raw water storage tank. Stage 2: Ozone bacteria treatment. Stage 3: Automatic backwash iron removal filtration. 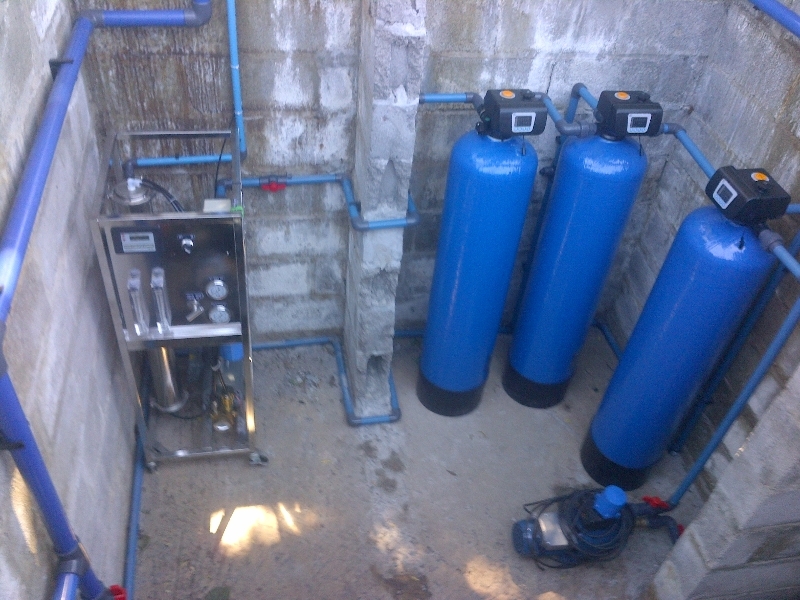 Stage 4: Treated water storage tanks. 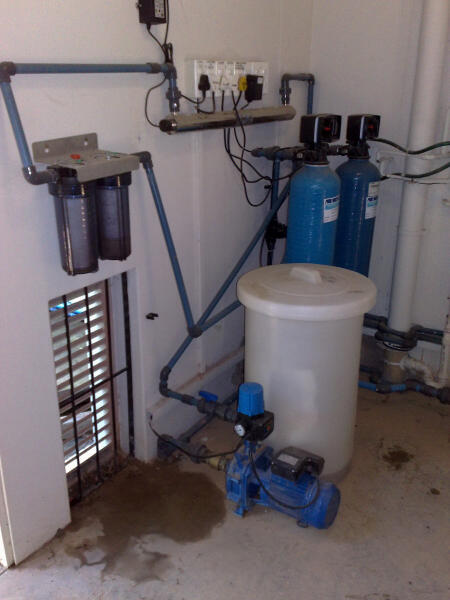 Stage 5: Pressure pump system to buildings. Stage 6: Automatic backwash carbon filtration. Stage 7: 10 And 5 Micron sediment filters. Stage 2: Automatic backwash iron removal filtration. 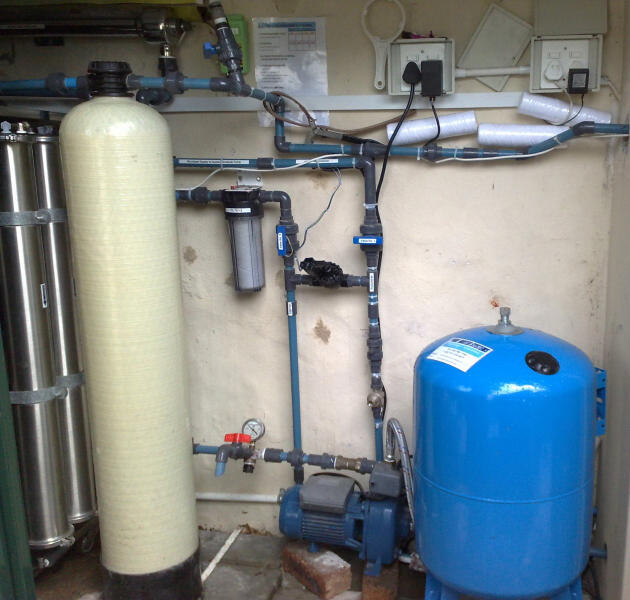 Stage 4: Automatic backwash and regeneration water softener. 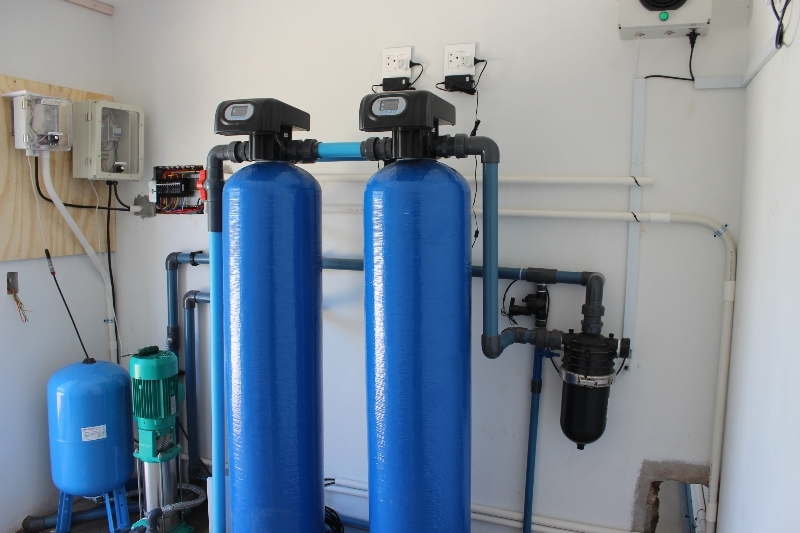 Stage 5: Reverse osmosis 5000 L/d. 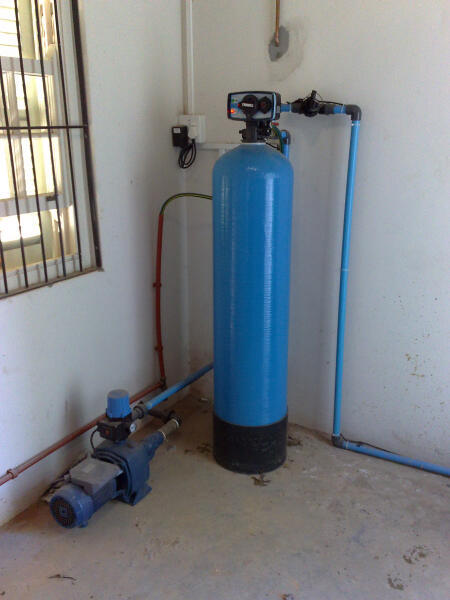 Stage 7: Pressure pump system to buildings. 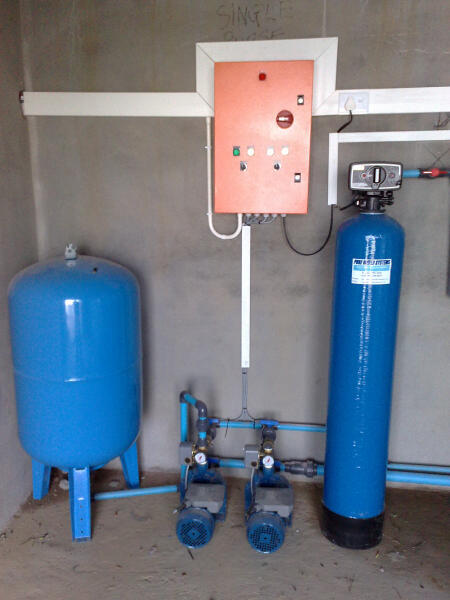 Stage 3: Pressure pump system to buildings 10 000 L/h. 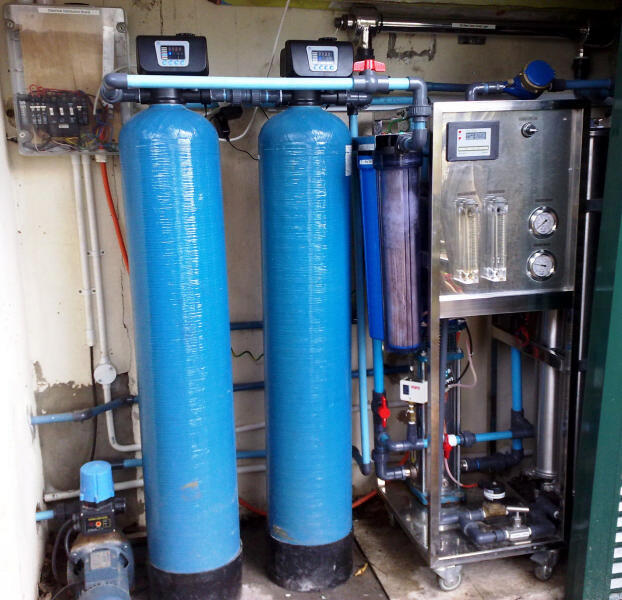 Stage 4: Automatic backwash sand filter. Stage 5: Automatic backwash carbon filtration. Stage 6: 20 Micron disc filtration. Stage 1: Water feed from well into raw water storage tank. 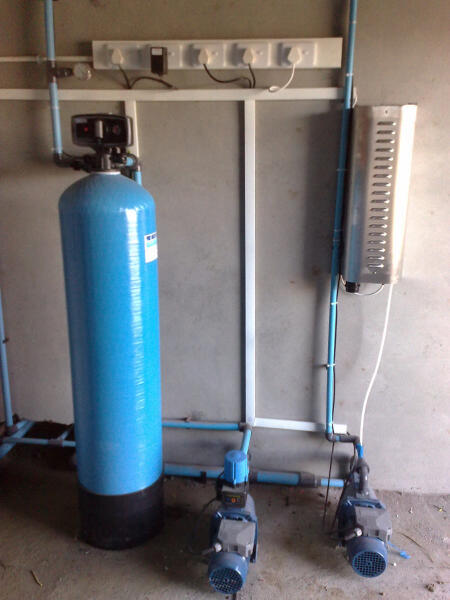 Stage 3: Pressure pump system to buildings 5000 L/h. 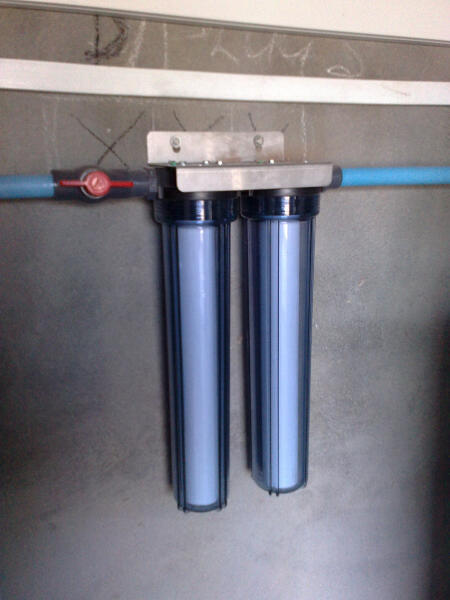 Stage 8: 10 And 5 Micron sediment filters. Stage 9: Ultra violet bacteria treatment.